The way this book was written was in great taste. It was descriptive but they didn't go too heavy-handed which I always appreciate. They also didn't go to cheesy, which is very easy to do when you're involved with anything Disney. 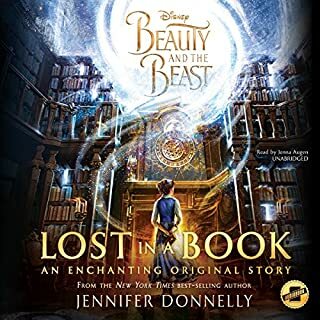 If you're a fan of the Beauty and the Beast story I think you'll love this one. The voice actress did a great job switching between characters. I found that I could tell which character she was speaking in the voice of most, if not all of the time. As a single voice actor that can be tricky to do. Worth a read if you need something to lighten your heart.